Changing Places are life changing accessible toilet facilities which allow many thousands of people with profound and multiple learning or physical disabilities to use the toilet safely, comfortably and with dignity. 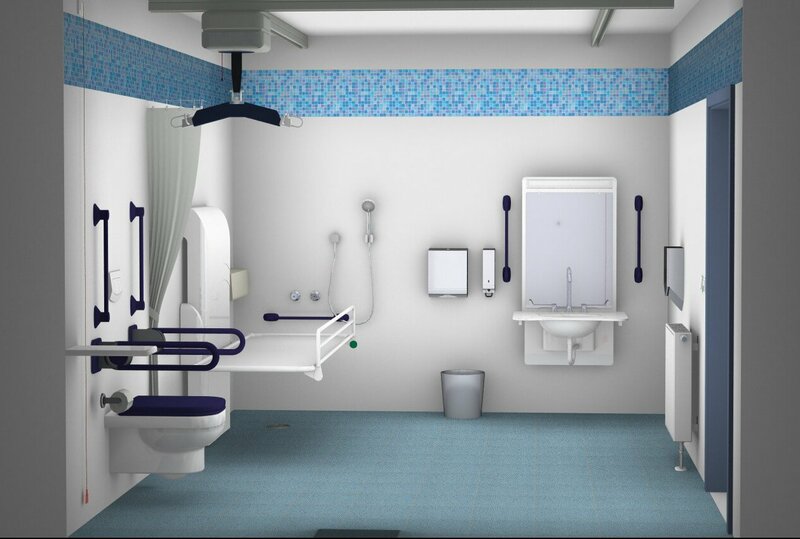 Standard accessible or disabled (DocM) toilets are often unsuitable as they are too small and don’t have the appropriate required equipment, whereas Changing Places have space for up to 2 carers and include an adult size changing bench and hoist system. They provide a safe place for severely disabled people to be changed and cared for with dignity and reduce the risk of back strain for the care giver(s). The British Standard BS 8300:2009 provides guidance for those involved in accessible building design of new buildings and adaptation or improvements of existing facilities and recommends that Changing Places should be provided in all new publicly accessible buildings and complexes. As co-sponsor of the Changing Places campaign, Astor-Bannerman are happy to provide support and advice needed when considering installing a Changing Places adaptation. 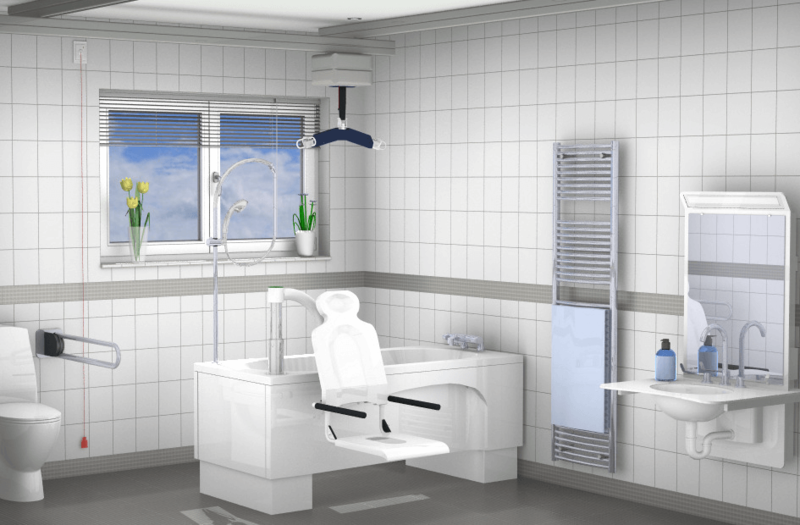 Bathrooms are often considered to be one of the most private rooms in any house, however, if someone is not in a position to independently access or use the facilities, it can have a detrimental effect on both the individual and any family members or carers involved. 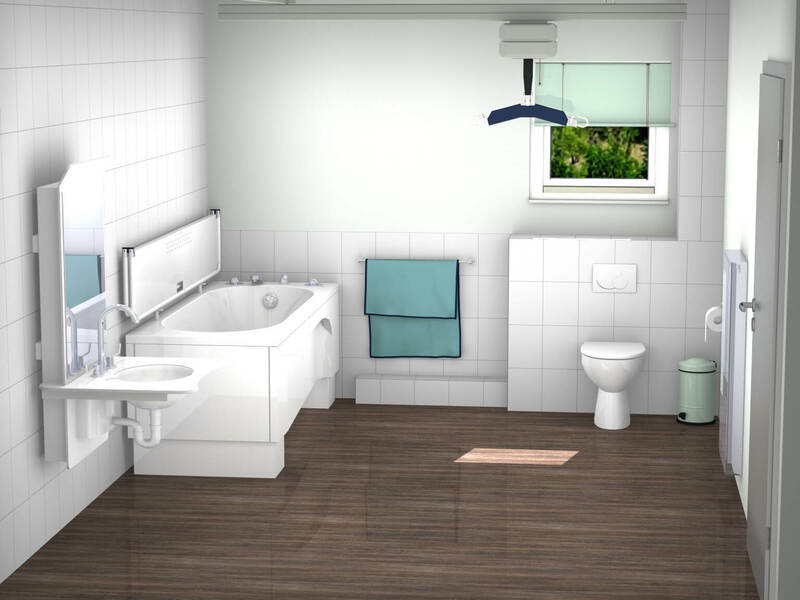 By creating a more accessible bathroom it’s possible to help retain dignity, increase independence, and alleviate some of the stress and strain for care givers to create a happier home and make the lives of everyone concerned easier. We understand that all needs are different and no two rooms are the same, that’s why we always offer site surveys, demonstrations, assessments and keep in touch every step of the way to make your life easier. We also provide CAD drawings so there are no surprises and you can see what your new bathroom will look like. The Rio height adjustable bath with optional patented Neatfold stretcher from Astor-Bannerman makes a great addition to most care settings, particularly in the home where it can also be used by the whole family. 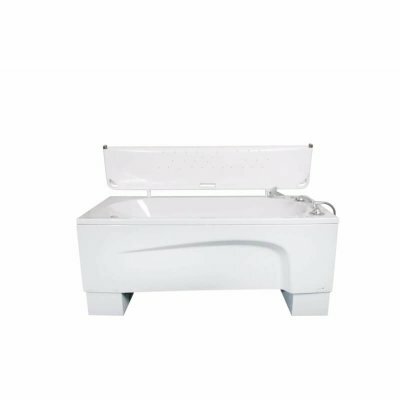 This beautifully UK designed and manufactured bath will enhance any bathroom environment, allowing the client the dignity of taking a bath in their own home, while also ensuring carers can bathe the user at a safe and comfortable working height, helping to reduce the risk of back strain.